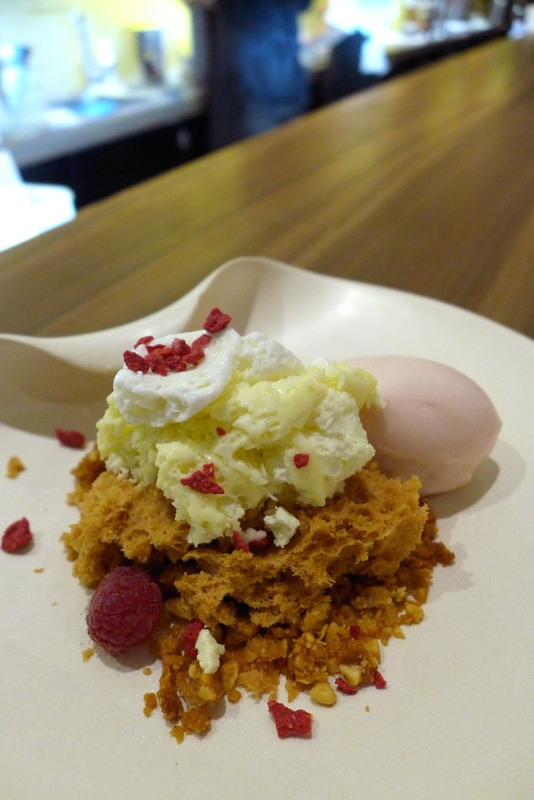 Janice Wong – 2am Dessert bar ,Singapore. For those of you like myself who crave the sweeter things in life then this is the place for you. I had two reasons to go to Singapore. 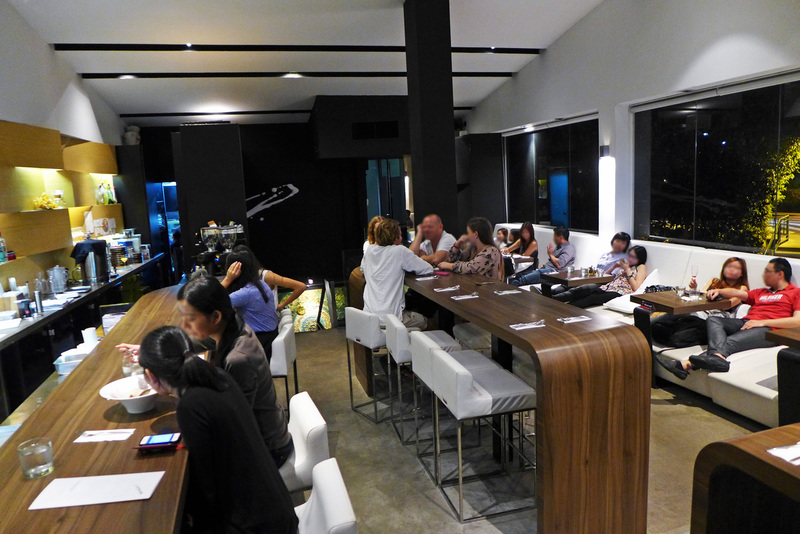 One was to eat at Waku Ghin and the other was to eat every dessert at Janice Wongs 2am dessert bar. 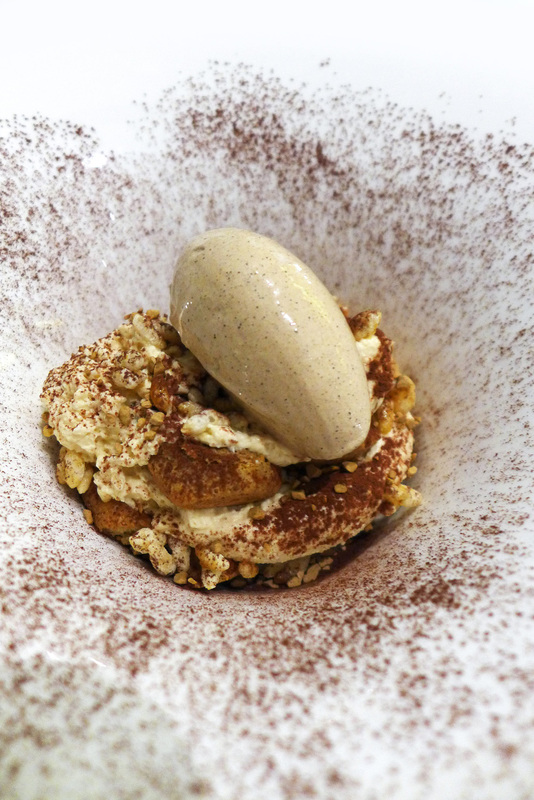 I contacted Janice before my trip and arranged a ” Dessert Tasting Menu “, a first for me. 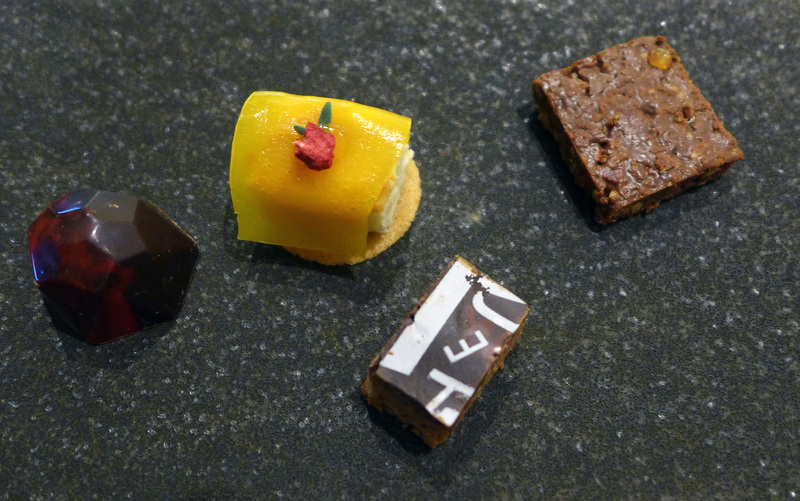 Nothing savoury at all , only sweet treats – and dessert Wine of course. 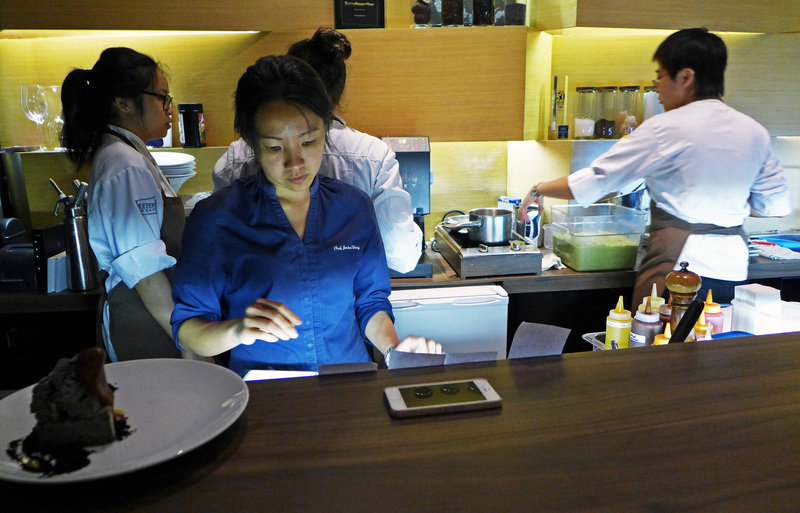 For those of you that don`t know Janice Wong , she`s only the `best pastry chef in Asia` . Now Asia is one hell of a big place with an awful lot of restaurants so the girl is pretty good with the sweet stuff. For the last two years Janice has been awarded the number 1 slot by San Pellegrino making her the undisputed Queen of the dessert scene. This has resulted in Books , TV shows and a non stop crazy schedule travelling the globe. Janice originally graduated with a degree in Economics but diverted for some reason to studying with some of the Wolds great Chefs. Thomas Keller of The French Laundry and Grant Achatz from Alinea offered Janice their knowledge in the USA whilst the God of Pastry Pierre Herme passed on his skills in France. Not a bad start eh ? 2am Dessert bar opened in Singapores Holland Village in 2007 and does what it says on the tin….Desserts and cocktails until two in the morning.There`s a seated bar area for those who want to be nosey ( me ). There`s also White Leather `Beds` to lie back on and totally Chill whilst you enjoy the delights. The 2am bar isn`t easy to find either so set off early. My Taxi driver didn`t know where to go to and i also asked in a couple of shops within the complex and they didn`t know of the place either. Basically get a taxi to Holland village and its directly behind the food complex on the street to the rear. I was very blessed to have Janice behind the counter during my visit to oversee the show. I was thrilled even more when i discovered that i would also have my own `one to one`pastry chef creating my sweet delights while i sat and watched and took on board a whole lot of tips for my own cooking. 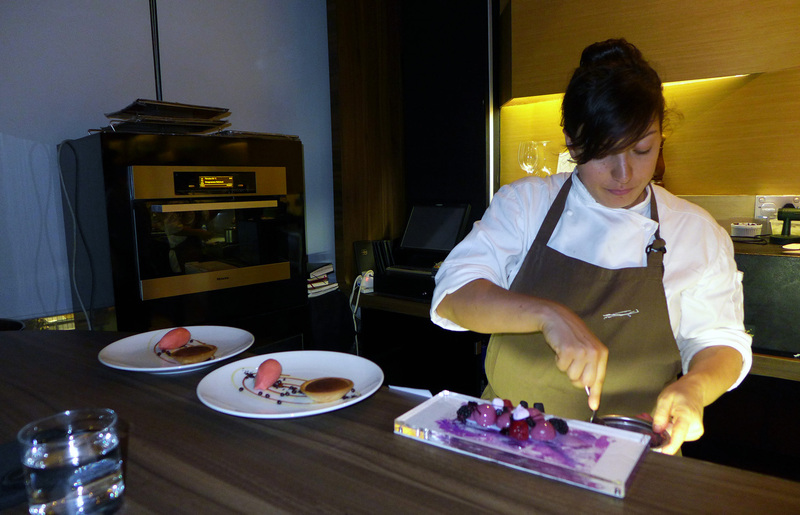 Spanish pastry chef Carmen Rueda had recently started working at 2am dessert bar…..Straight from heading up the pastry section at Heston Blumenthals Fat Duck restaurant OMG , How good is this meal going to be ? Had i died and transgressed over into Sweet heaven ? So on with the show and my quest to eat all of Janices Desserts on tonights menu. 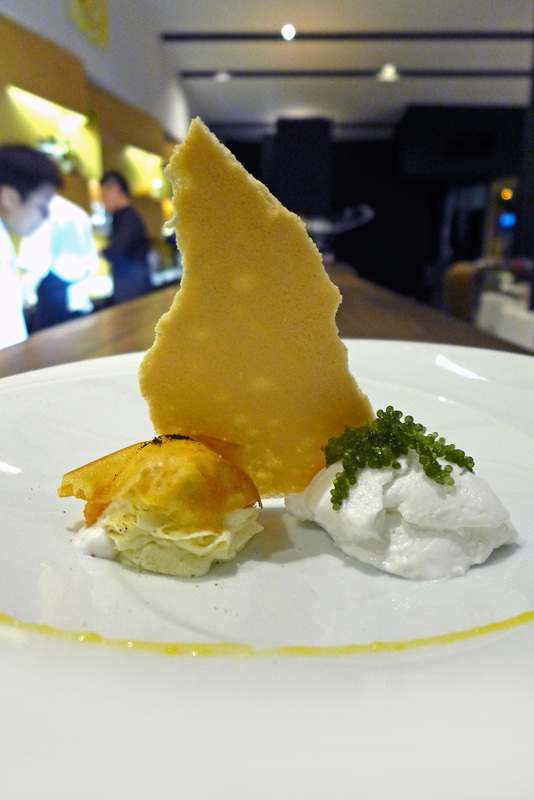 Popcorn – Sweet and Salty, Yuzu , Passion fruit Sorbet. This is one of the signature desserts that never come off the menu. 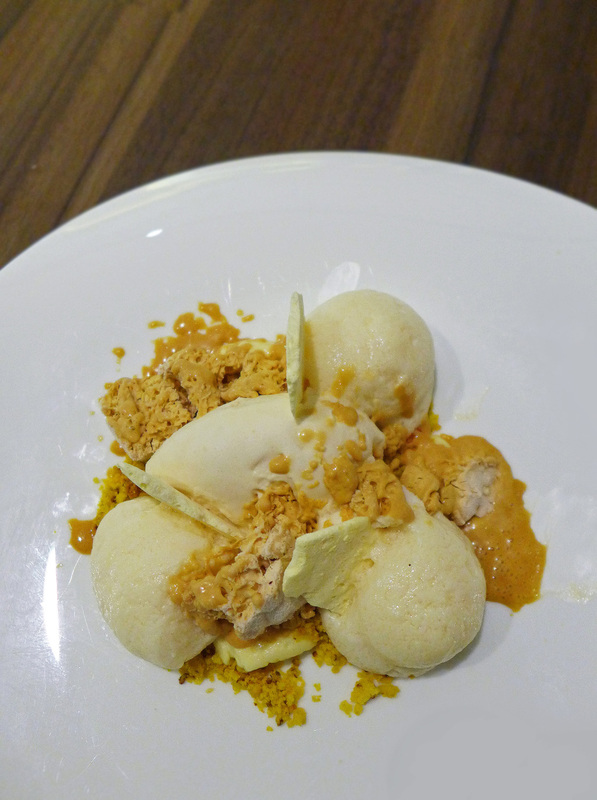 Popcorn mousses , both sweet and savoury accompanied with a tangy Passionfruit sorbet. 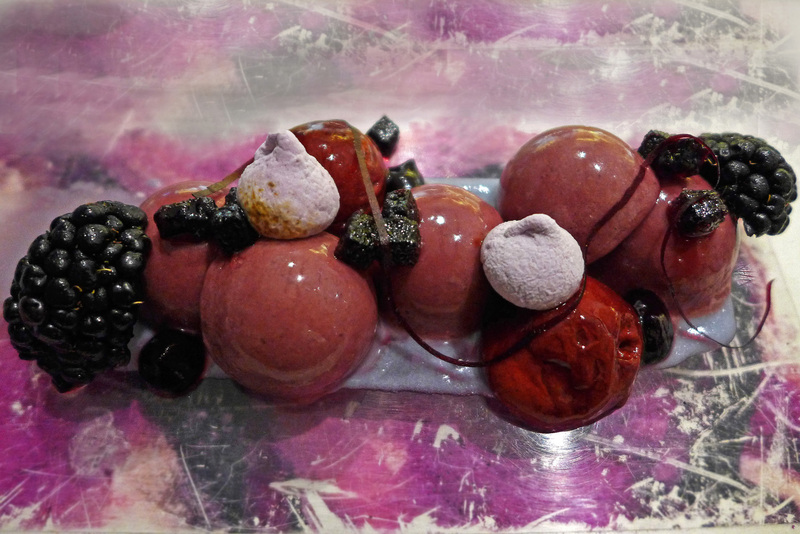 Shades of Purple – Purple Potato puree, Blackberry parfait, Leather, Lavender Marshmallows, Fruits of the forest Sorbet – A sweet delight of everything Purple. 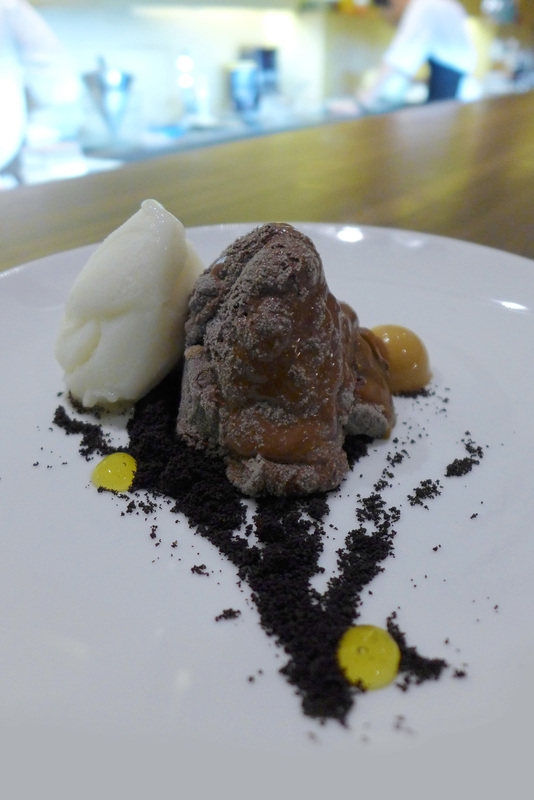 Mediterranean – White Peach sorbet , Hazelnut sponge , Olive oil ganache , Rosemary air. 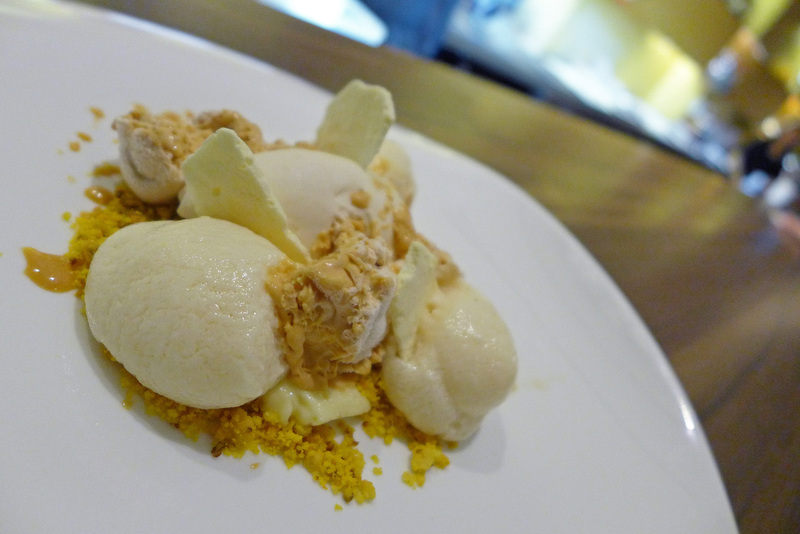 Red Miso Caramel – Mustard crumble, Miso Yuzu Lemon foam, Mustard, Yuzu Meringue – My only thumbs down of the night. 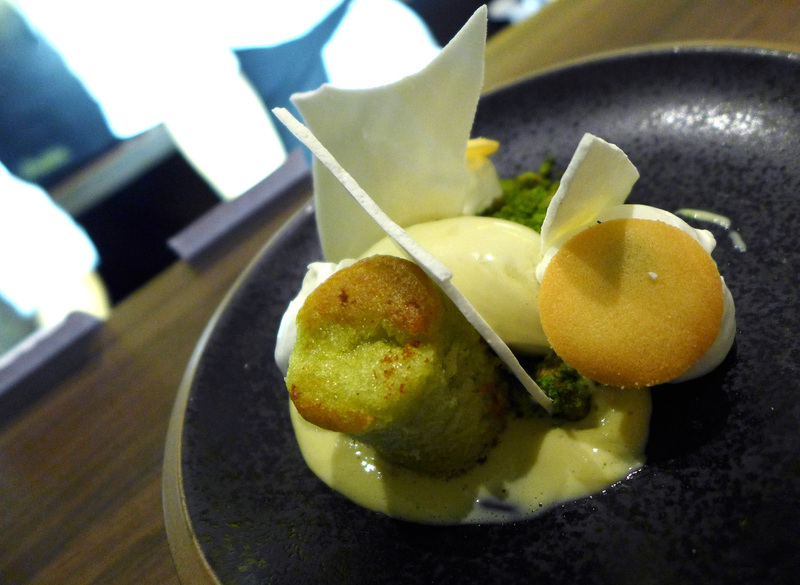 I`m sure there are many who delight at eating this `dessert` but for me the savoury flavours weren`t my thing….. I still cleaned the plate totally. 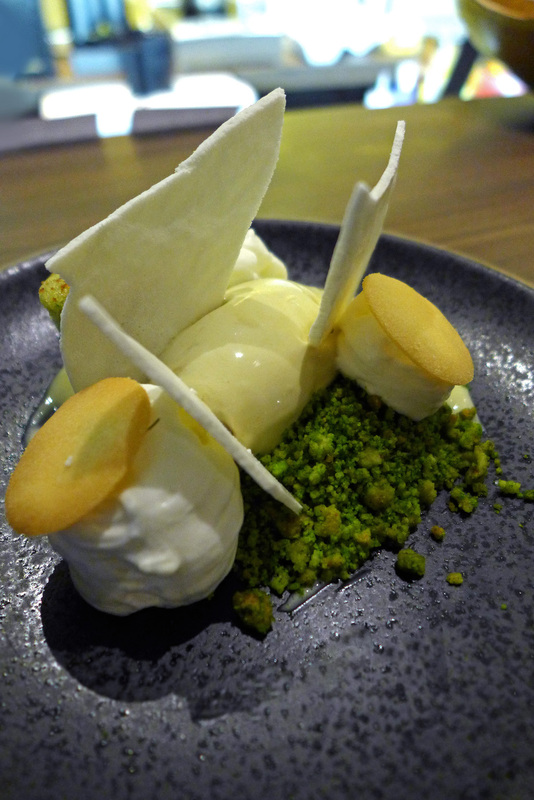 Basil White Chocolate – Seagrapes, Passionfruit fluff, Pastilles, Coconut sorbet – This one stood head and shoulders above the others as my favourite. Eating a combination of everything together had a little of the Janice Wong magic on the spoon. The Seagrapes ( or Green Caviar ) A Seaweed from Japan and the Philippines turned this dessert into something very special. 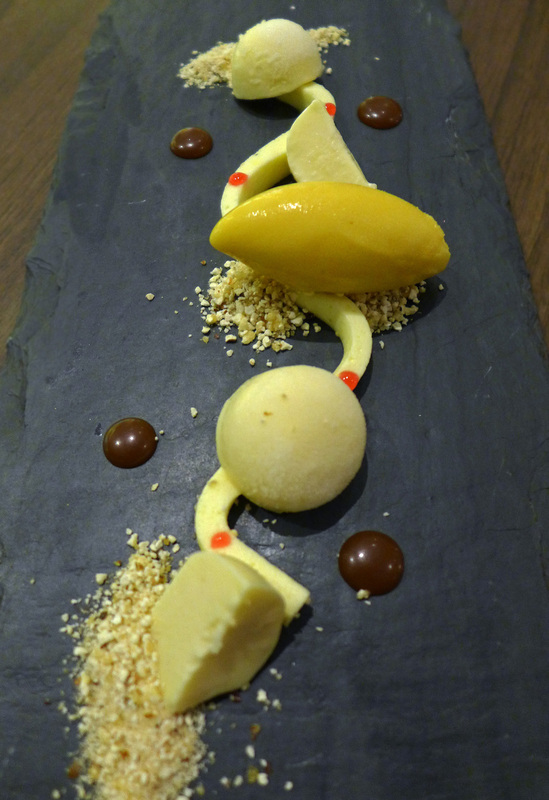 Kayambe H20 Chocolate – 72% Dark Michel Cluizel Chocolate , Salted Caramel mousse , Evian , Yuzu sorbet. 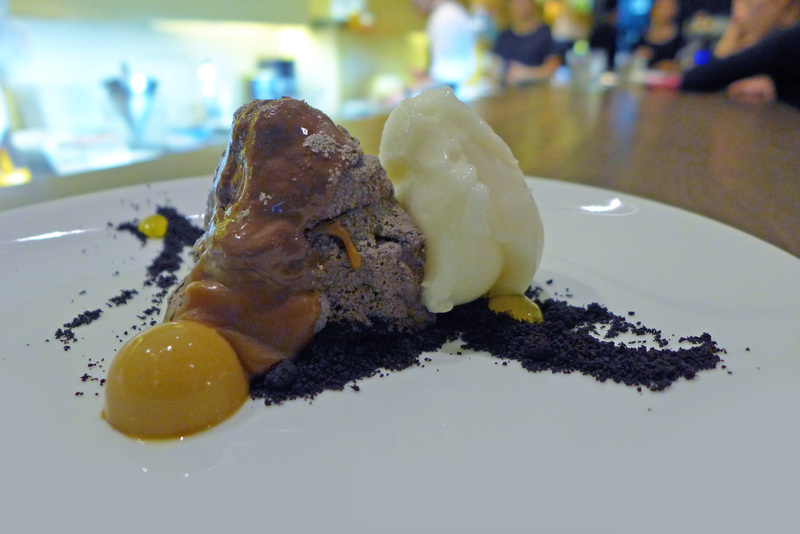 – Chocolate , Caramel and Lemon…. It simply works perfectly. 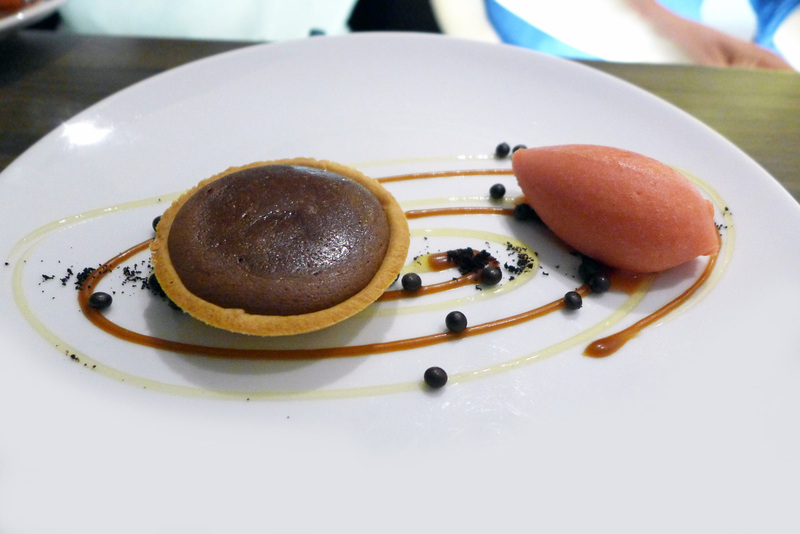 Chocolate Tart with a Blood Orange sorbet. 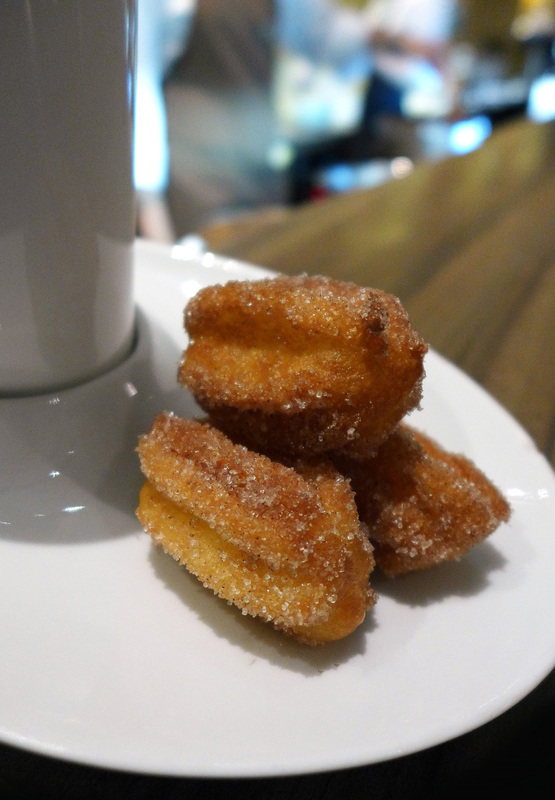 Hot Chocolate – Served with home made Churros I was struggling badly at this stage so nibbled on my little sweet treats , quietly paid the bill , said my goodbyes and headed straight to bed. 2am dessert bar is highly recommended for anyone heading to Singapore with a sweet tooth and looking for a treat with a difference. I love the place. 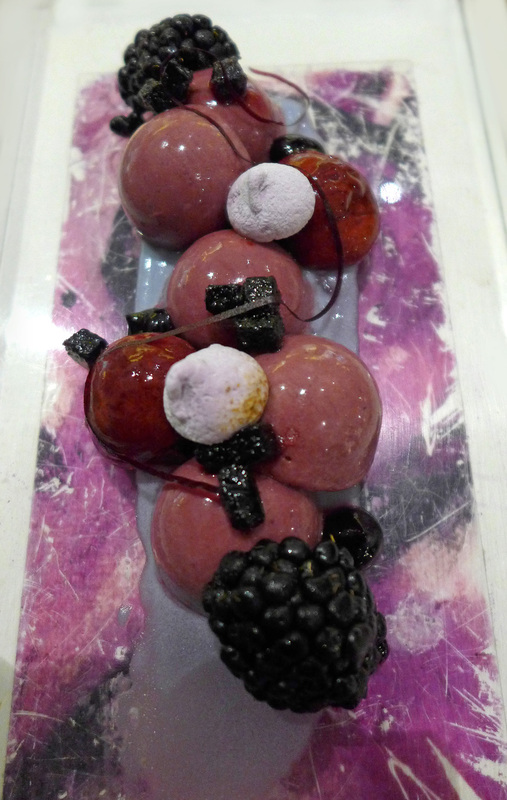 To view more photos from my 2am Dessert bar menu please CLICK HERE. 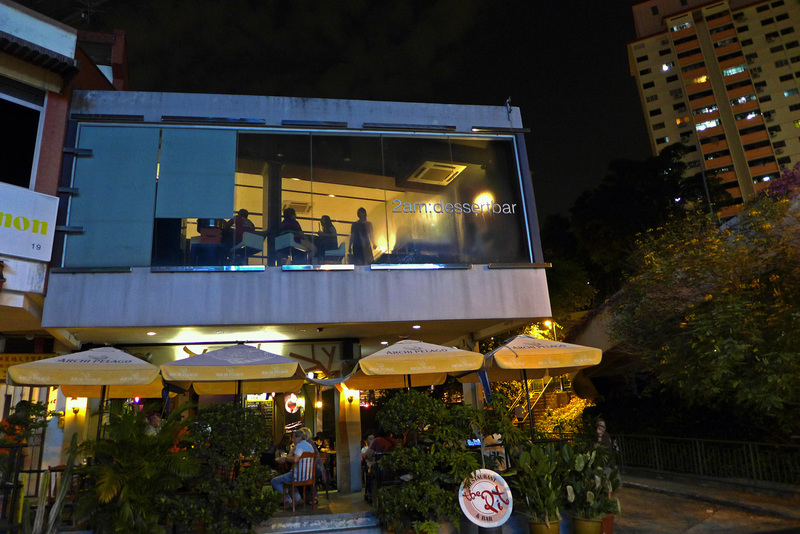 Previous Post WAKU GHIN – Singapore , A long journey to eat dinner. 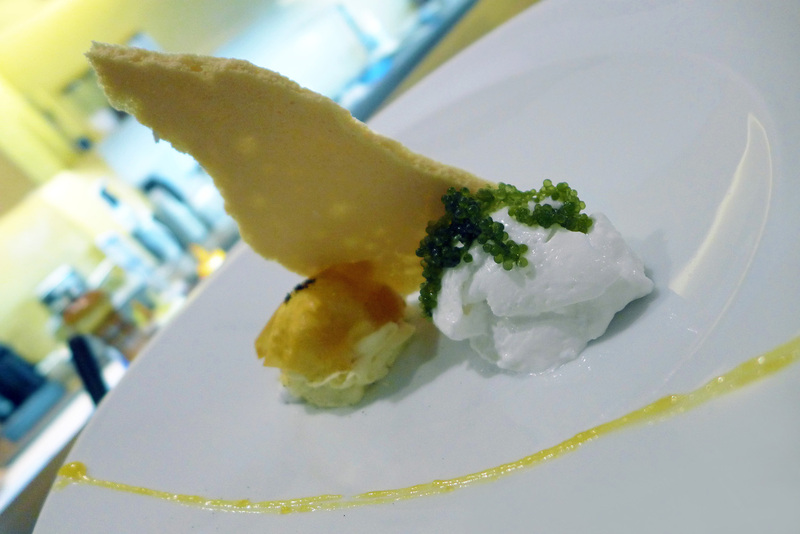 Next Post “Let`s do Frogs” – Dinner at Osteria Francescana.